If you’re hoping to speed up your PC with a zippy SSD, today’s your lucky day—as long as your motherboard accepts “gumstick” M.2 SSDs. Amazon is selling the 1TB Samsung 960 EVO for $300. Just a few days ago, this drive was $400, so you’re saving $100 off the most recent price. It’s not clear when this price drop will end. 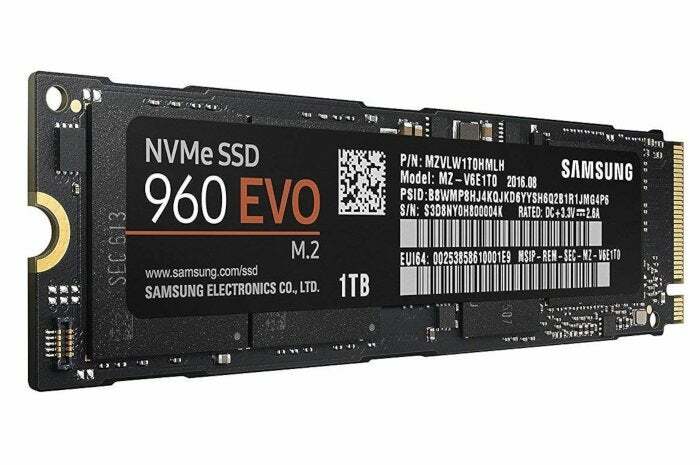 The Samsung 960 EVO uses the speedy NVM Express (NVMe) interface, which is fantastic since some M.2 SSDs still use the much slower SATA III interface. This drive has sequential read speeds up to 3,200 megabytes per second, and write speeds up to 1,900MB/s. It’s fast, especially if you’re coming from a mechanical hard drive. Our guide to the best SSDs explains everything you need to know about NVMe drives, including compatibility concerns. But if you’re not sure whether this SSD drive will fit your PC, Amazon also has a partfinder that might help. Right underneath the price and capacity—where Amazon puts a brief description of the product—click the “Make sure this fits” link. A toolbar will appear allowing you to input your PC’s brand and model number, and then tell you whether the part fits or not. If it says it’s not sure then it probably won’t.